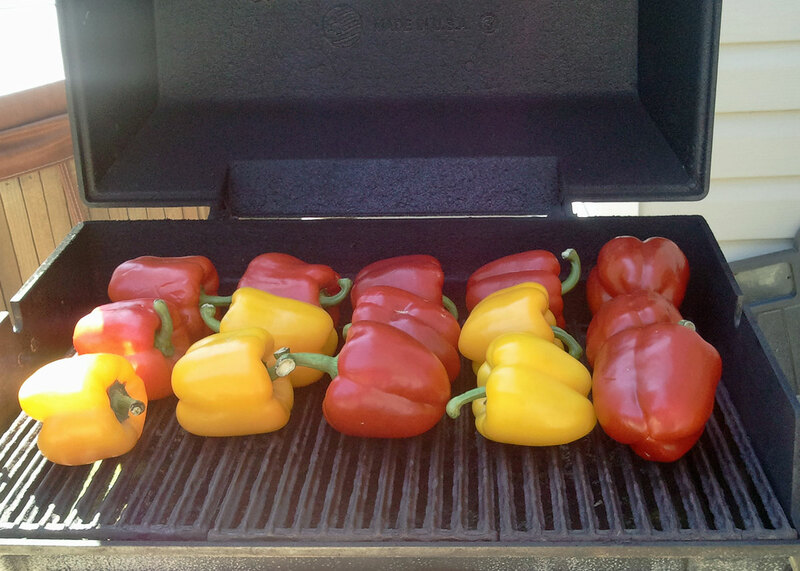 Red, Yellow, Orange Bell Peppers, one color or you can mix them up. 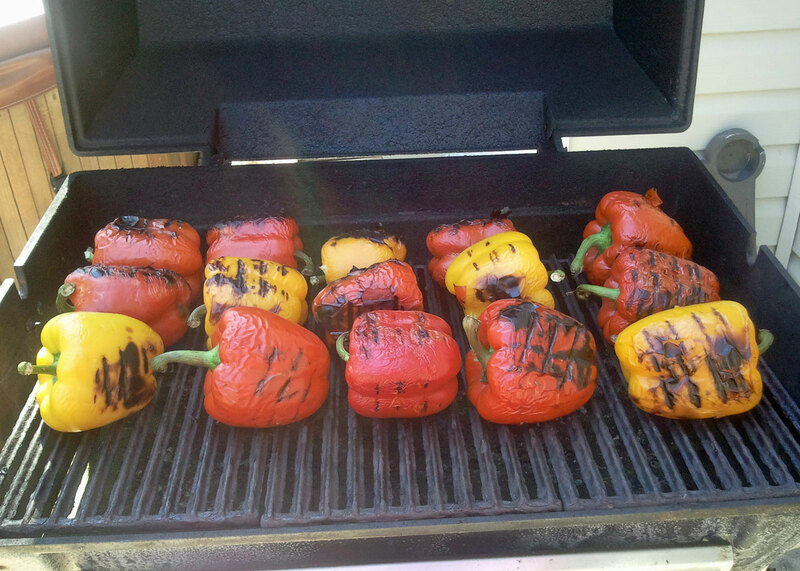 Place on Grill on high heat. Do not treat grill with no stick spray or olive oil. Rotate peppers as they singe on each side, you may need to turn them upside down as well in order to soften the bottoms and tops of the peppers. When done place in paper bag and let cool. The peppers will be very wet, place the paper bag in a bowl to carry into the house. Once cooled remove from the bag. Under running water, rinse and peel away the dark areas, discard the stem and seeds, rinse well and place in Colander to drain. Once drained portion and place in pint or quart size freezer bags, freeze. 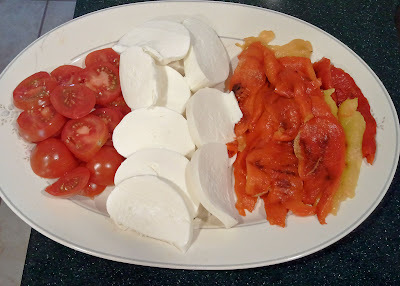 Serve with fresh mozzarella drizzled with Balsamic Vinegar and Extra Virgin Olive Oil. Preparation time: 10 minutes, plus 2 hours to cool. Compliments of The Melting Pot. • Combine the chocolate and the cream in the top of a double boiler set over simmering water. • Heat until the chocolate is melted, stirring constantly; or combine the chocolate and cream in a microwavesafe bowl and microwave until melted stirring every 30-45 seconds. Be careful not to let the chocolate burn. • Pour into a warm fondue pot. • Pour the caramel into the center of the chocolate mixture. Do not stir. • Add the rum to the pot and ignite carefully, using a long wooden match or lighter. Allow the flame to burn out and stir gently to combine. • Sprinkle with pecans. Keep fondue warm over low heat. • Dipper suggestions: fresh strawberries, pineapple, bananas, pound cake, brownies, apples, marshmallows, cherries.